Rupert Goold directs this live performance of Shakespeare's historical play recorded at the Almeida Theatre in London. 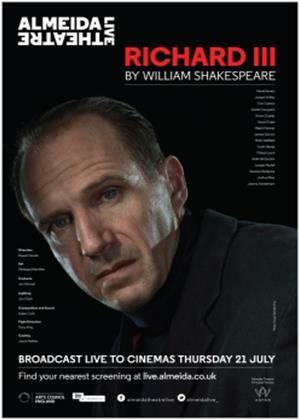 Ralph Fiennes stars as the notorious and malevolent Richard III who awaits the chance to seize the crown from his ailing brother King Edward IV (David Annen). The cast also includes Vanessa Redgrave, Joseph Arkley, Tom Canton, Simon Coates and Joshua Riley.